How do you review your day? How do you assess your successes and your failures? How do you adjust and do better the next day? The Examen prayer is a daily reflection with Jesus, to help you see your day through his eyes. Keep reading to learn more about the Examen prayer and how you can use it in your life. The project was delivered, celebration lunch eaten, and we were all ready to move on to new things. Yet, one final meeting was on the calendar. A meeting no one really wanted to have, yet one we knew was important (and mandatory): the “lessons learned” meeting. The essential debrief at the end of every project to review what went well and, more importantly, what could we do better next time. These reviews are intended to be a transparent and honest evaluation of how a project went. We start by celebrating and documenting the things we did really well. You need to acknowledge the good and make sure you repeat those successes. Then, we dig into the harder work of reviewing what we could have done better. To do this part well, you have to leave your ego at the door and be ready to look at yourself first. What could I have done better? It’s much easier to call out all the other things that went wrong, but much more difficult to identify where YOU could have made a better impact. Just as we do this review as part of our project management, the Examen prayer is a way to do this for your daily life. The Examen prayer is like a performance review you hold with Jesus at the end of each day. To review what you did well that day and where you need improvement. The Examen Prayer is a framework developed by St Ignatius Loyola in the 16thcentury. It’s a prayer to review your day with Jesus, examining where you shined his light in the world and where you fell short. It’s a daily habit of reflection to let Jesus show you where you need to work and then being intentional to do better the next day, each day committing to walk closer to Jesus. Doing a playback of your day with Jesus by your side is a great way to see your day’s performance through his eyes. Ask God to show you what you did well and where you need work. As you walk back through your day, you’ll see certain things highlighted as good examples and others you’ll see as areas for improvement, some of which may surprise you. What better way to stay motivated and moving forward in your walk of faith than a daily checkpoint with Jesus? Why is the Examen Prayer Important? St. Ignatius believed so strongly in the power of the Examen that he required the Jesuits to pray it twice a day – at noon and at the end of the day – which they and many Christians still do to this day. He said this prayer was a gift from God that we should all include as a daily habit. Reason #1: You can only improve if you recognize your faults. If you want to grow closer to God’s vision for your life, you have to continually evaluate how you’re doing and make necessary course corrections. You need to identify where you’re doing well and keep doing those things. But you also need to see where you still need work. We all have room for improvement, so it’s important to identify your mistakes and learn from them so you can do better next time. Reason #2: You’ll see more clearly where God is at work in your life. As you rush through the busyness of life, it’s easy to overlook all the ways God is at work in your life and around you. Stopping to reflect on your day, to replay the day through prayer, will help you take note of where God showed up that day. The more you begin to see God through reflection, the more you’ll begin to see him in the moment. Reason #3: You’ll develop a deeper relationship with Jesus. As you begin to spend time side-by-side with Jesus, reflecting on your day through the Examen prayer, the more you’ll develop your relationship with him. Relationships are forged in time spent together, so the Examen prayer is a great way to discover Jesus and deepen your relationship. To begin, invite Jesus into your prayer. Imagine he’s sitting by your side, asking you about your day. Open your prayers with thanksgiving. Think over your day and give thanks for all the blessings of the day – big and small. Recognize God’s goodness in your life and express your gratitude. Next, invite the Holy Spirit to give you vision and grace to see your day through the eyes of Jesus. Ask for the Holy Spirit’s guidance as you review your day, for clarity to see where you fell short, but not to fall into denial, blame, self-loathing, pity. Now, with Jesus, play back your day. As if you’re watching a movie, play back each scene and allow Jesus to highlight the moments he wants to review. He may call out some areas where you did well, but also the areas that need some improvement. Particularly look for these moments where you fell short and discuss those with Jesus. Where did I best reflect Christ today? Where did I bring joy to someone? Where did I feel the most joy? What moment today would I most like to change? When did I least reflect Christ? What made this moment so difficult? Now that you’re aware of the areas where you fell short during the day, have a heart-to-heart with Jesus about them. Ask his forgiveness for those sins. Ask for healing for anyone you may have hurt. Ask for better wisdom and discernment as you navigate similar situations in the future so you can make better choices. Close by looking ahead to tomorrow. Focus just on the day ahead. Discuss with Jesus how you can do better tomorrow. How will you resolve to improve tomorrow? Where do you need Jesus’ help and guidance? Are you ready to try the Examen prayer for yourself? I’ve prepared a free handout to guide you through the daily Examen. Use this in your prayers today to give the Examen a try! 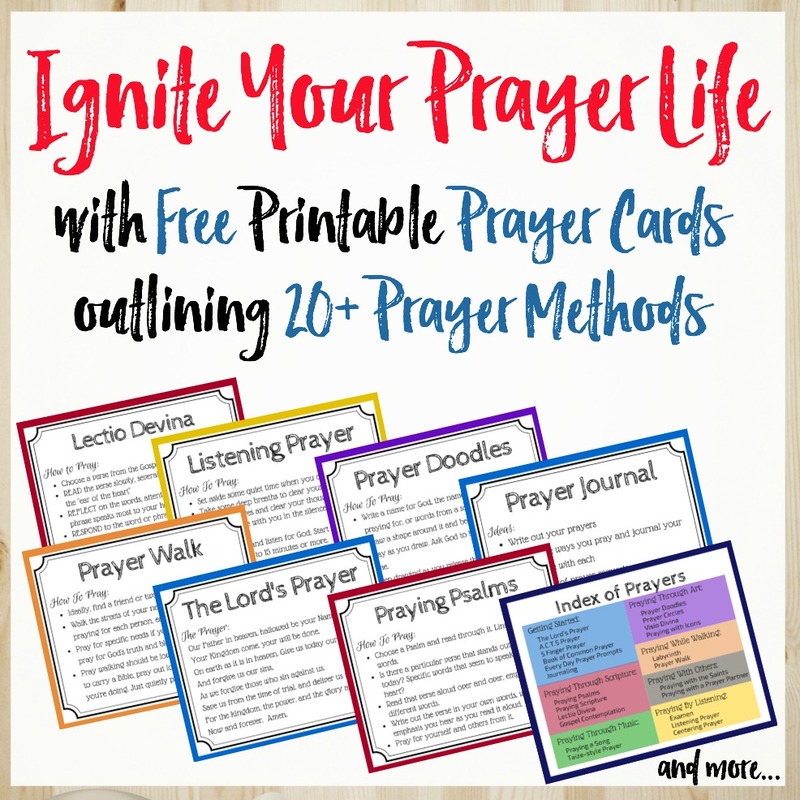 Join our 'Prayers and Possibilities' newsletter for weekly encouragement and I'll send you "A Guided Daily Examen Prayer" printable workbook as a FREE gift. This workbook provides prayer starters, instructions, and journaling space for each of the 5 steps of the Examen prayer. 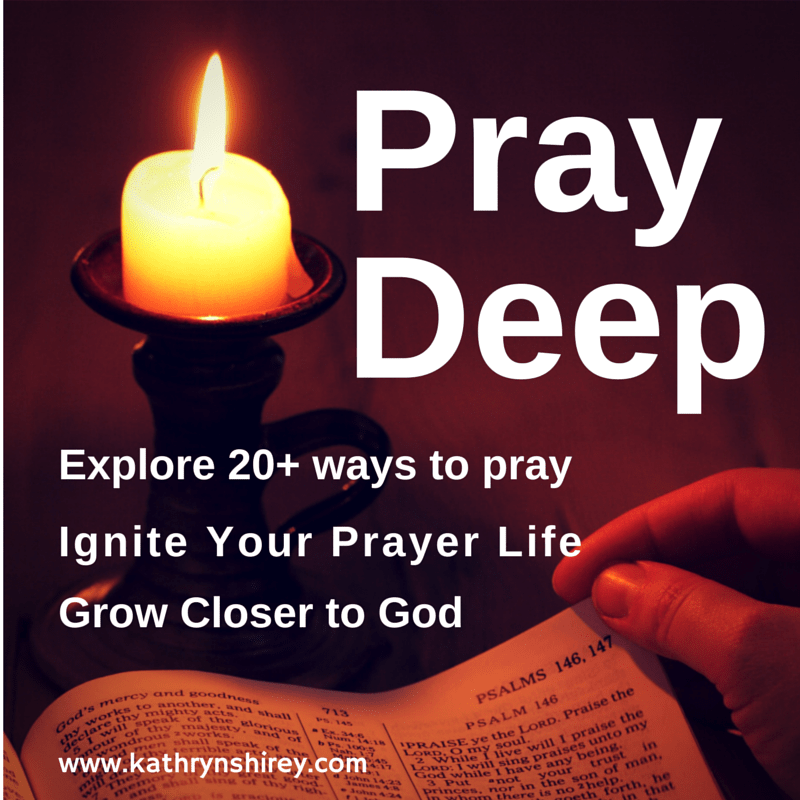 PRAY DEEP CHALLENGE: Pray the Examen tonight. Sit down with Jesus and replay your day. Step through each interaction, each emotion. See where he guides you and where he says you did well and where he says you could have done better. A beautiful and powerful encouragement. I’m glad I was going have a look here. This is for me a good reminder: “Ask Holy Spirit for guidance”. Glad you stopped by here! This Examen prayer has been powerful for me – to spend the time reviewing my day with Jesus at my side – and then asking the Holy Spirit to help me make better choices and have better reactions the next day. Happy Easter to you!